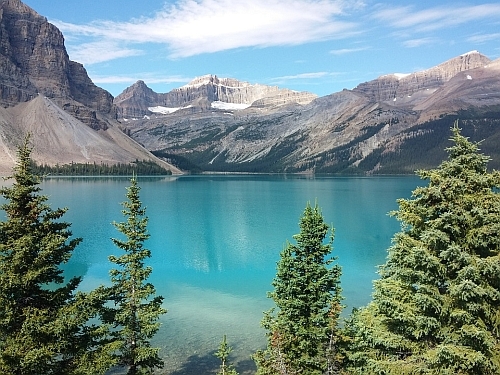 In response to Flair Air announcing new flights from Vancouver to Calgary last week, WestJet has dropped the price of their flights from Vancouver to Calgary down to between $143 and $163 CAD roundtrip including taxes. There are currently some dates in July available. There's not a ton of dates, so these may go quick. 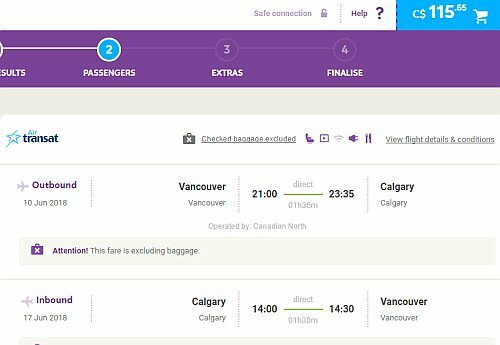 Vice versa flights (Calgary to Vancouver) are also available for $143 to $163 roundtrip. - Try starting with June 17, 24 or July 15, 22, or 29 as your departure date. - Try starting with August 19 or 26 or September 2, 9, 16, 23 for some that are $183 roundtrip. NOTE: From what I've seen, you *must* click through from Google Flights to the WestJet website to book these fares. If you try going directly to the WestJet website to start your search, the low prices are there, but you can't select them. - Look for the dates that are $144 roundtrip. example: Try starting with June 25, 26, 27, 28. There are also many dates in July. A number of dates in August and September are still $182 roundtrip. No Responses to "Vancouver to Calgary (or vice versa) - $115 to $163 CAD roundtrip including taxes | non-stop flights [July dates available]"